Save AED 27 (51.92%) – Earn 2 Shukrans What is Shukran? Shukran is the Landmark Group’s award-winning loyalty programme in the Middle East, which allows you to earn Shukrans when you shop any of our brands. 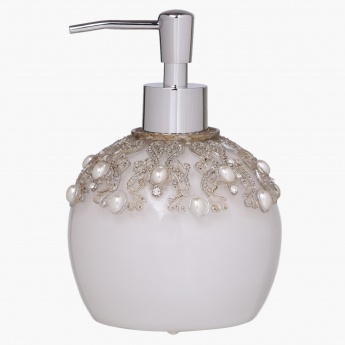 Get set to make a statement as you do up your interiors with this alluring lotion dispenser. Decorated with pearls and an intricate design in shiny tones, this pick will add a royal touch to your interiors.